NEW: Immediate Wholesale Ordering! – Just fill out form below and place your order NOW! 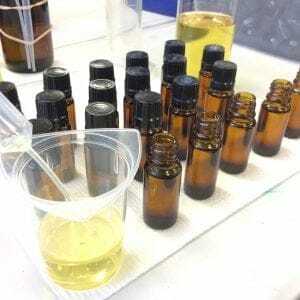 Wholesale Essential Oils: We offer the best quality essential oils and essential oil blends – 100% pure & natural – sourced from around the world and bottled in USA. If Quality is important to you then you’ve found the right place for Wholesale Aromatherapy Supplies, Diffusers & Therapeutic Quality Essential Oils. 1. Quality – the finest essential oils available anywhere. 2. Service – same or next day Shipping for most orders. 3. Price – Best price for therapeutic quality essential oils (40% off for all but most expensive oils). 4. Experience – over 20 years in the business of importing essential oils. About Artisan! 5. Reliability – each order is filled with care and concern. Check out our Reviews! 6. Freshness – each order is custom bottled in our shop in North Carolina USA (NOT China). We bottle and label your oils and blends only AFTER your order is received. Fill out the form below to automatically create an account and get immediate acceptance so that you may buy essential oils wholesale and wholesale aromatherapy products today at up to 40% off. NOTE: If you would like to ask questions before signing up for a wholesale account, use our quick & easy Contact Form and put “Wholesale Account Question” in the subject line. Our Wholesale Essential Oils are offered in retail sizes (10ml to 1oz) for stores and other essential oil vendors. We also offer larger sizes for blending or making your own all-natural aromatherapy products. Plus aromatherapy wholesale supplies, wholesale carrier oils & wholesale diffusers too. 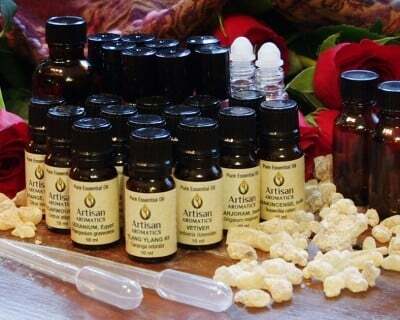 We are trained aromatherapists with decades of experience in sourcing and importing therapeutic quality essential oils. We offer over a line of over 150 therapeutic quality essential oils and 20 aromatherapy blends plus massage oils, lotions, essential oil diffusers and aromatherapy supplies to retailers, spas, clinics, hospitals, healthcare facilities and other approved businesses in U.S. and many other countries too. If you want true therapeutic quality essential oils at wholesale essential oil prices, you’ve come to the right place. We sell nothing less than true therapeutic quality essential oils. You’ll find no “Fragrance Oils” or low quality “Made in China” kits or adulterated oils here – only the very best quality. Here’s more info on Quality. Our years of experience in aromatherapy ensures that not only are the oils we choose from our select group of growers and suppliers the best aromatherapy quality available but, we take additional steps to make sure you get the freshest oils available. We bottle and label each oil only after we receive an order so your oils are as fresh as possible and have not been sitting on a dusty shelf for who knows how long. And, all of our oils are bottled by hand, one-by-one here on our farm in the mountains of North Carolina – not by some automated filling machine that may have been susceptible to cross contamination. Each label for each bottle (5ml or larger) of our essential oil includes Oil Name, Botanical Name, Country of Origin, Method of Extraction, Method of Growing (Organic, Wildcrafted or Conventional), Batch # & Bottling Date. Still not sure if Artisan Aromatics is the right Essential Oil Company for you? Here is what some of our customers have to say about us: Reviews & Testimonials. Minimum purchase for wholesale = $100.00. order from our online shop, by email, or by phone. Online ordering is much faster & much preferred plus it is the only way for you to accrue points towards future purchases. Additional discounts may be available for large wholesale orders over $1000. If you ever need to place a small order or samples (without meeting the $100 minimum), just order retail without logging into your account and checkout as a guest. *NOTE: The discount for our more expensive essential oils (like Gardenia and Rose), aromatherapy kits, and aromatherapy diffusers is limited to 25% due to smaller margin. For the majority of our Essential Oils, Carrier Oils, Hydrosols, Aromatherapy Blends, etc., your discount is 40% Off. Sorry but, no. You may not sell our oils with our labels and brand on Amazon or Ebay. Why? Because almost all of the essential oils and aromatherapy blends that you find on Amazon and & Ebay are mass produced and of poor quality, often bottled in China. If you want to go this route, you can become one of our Private Label customers. For our Private Label customers, we bottle and label our essential oils using the customer’s brand, logo and label and ship to the customer (not Amazon or Ebay). Note that to sell Essential Oils on Amazon or Ebay, you must have an established account with them and must already be selling other products. Contact Amazon or Ebay first. Wholesale status means that you either sell or intend to sell products online, in person, or in a store or clinic. If you are a practitioner using our products in your practice but are not selling them, then request the “Practitioner’s” discount instead and you’ll receive up to 30% off with no minimums. Your Username if you have already created an account (Registered). Once you’ve filled out the form, we’ll send you an acknowledgement email. Place your order online using our Online Shop – MUCH faster and MUCH preferred plus it is the only way for you to accrue points towards future purchases. Call us at (800) 456-6675. Afternoons are best since we’re often busy with bottling, labeling, packing & shipping in the mornings. Note that we also sell essential oils to Hospitals and Clinics: Essential Oils for Hospitals. Once approved, large institutions (Hospitals/Clinics) are eligible for using Purchase Orders. We also offer Bulk Pricing for discounts on large quantities of oils. If you want to use our products in your business but don’t sell products, request Practitioner status for a 30% discount for most items. If you’d like to buy in quantity and start your own brand, we also offer Essential Oil Private Labeling.